Justice League: No Justice shows the impact of the dark multiverse is continuing. 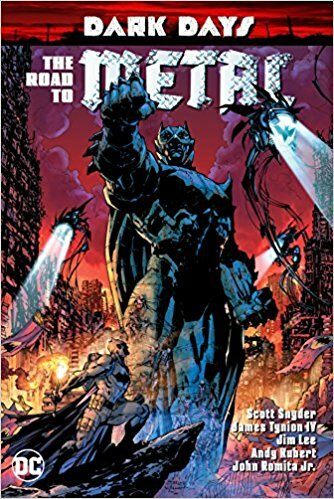 After the wall was opened up between the multiverse and the dark multiverse in Dark Nights: Metal, a new evil is unleashed upon the galaxy. The four Omega Titans each represent one of the fundamental energies of sentient life: entropy, wisdom, wonder and mystery. When Wisdom attacks Brainiac’s home planet, Brainiac brings together all the galaxy’s heroes, villains and monsters to fight together using his sophisticated plan. 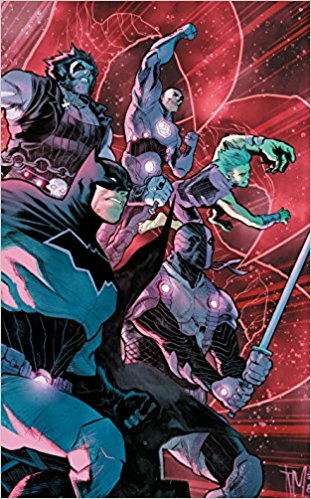 Brainiac is unable to explain his plan fully when tragedy strikes him—leaving the new team forced to fight the Omega Titans on their own. It’s great to see all the gang working together against a common enemy. Also, the plot forces entities that usually rely on their brawn to start using their brain. The art is beautiful as usual but the plot is the star here. Since I love a good plot, 5 stars! Highly recommended for all superhero comic fans. I can’t wait for the next episode. Thanks to the publisher, DC Comics, and NetGalley for an advanced copy.